Home » Daily Life » Happy St. Patrick’s Day!! I suppose that most normal people are gathered around their dining tables this evening enjoying a feast of corned beef and cabbage. 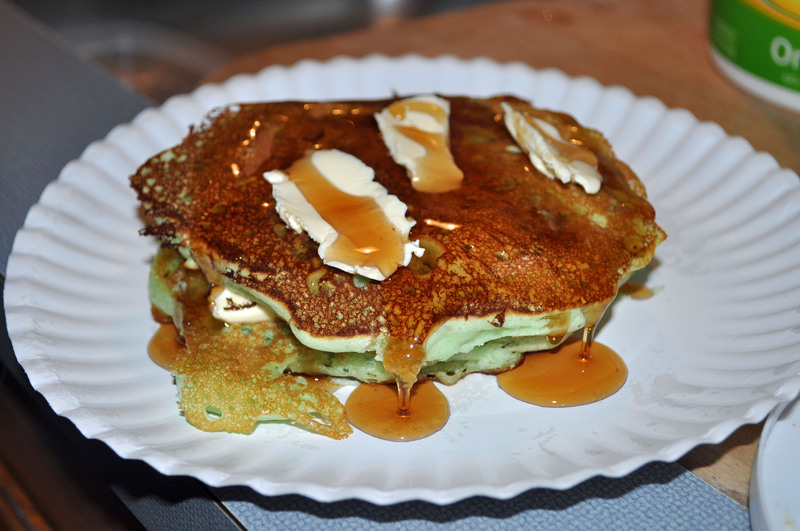 I, however, failed to buy any fixings for a traditional St. Patrick’s Day meal, so we found ourselves chowing down on green pancakes instead. Perhaps next year I will have my act together and will actually make corned beef. I better keep green food coloring in the cupboard, though, just in case. At least we remembered to wear our green! Happy St. Patrick’s Day everyone! This entry was posted in Daily Life, North Carolina, Random Thoughts and tagged St. Patrick's Day. Bookmark the permalink. This looks way better than corned beef to me! We enjoyed a traditional corned beef dinner with a dear friend tonight. 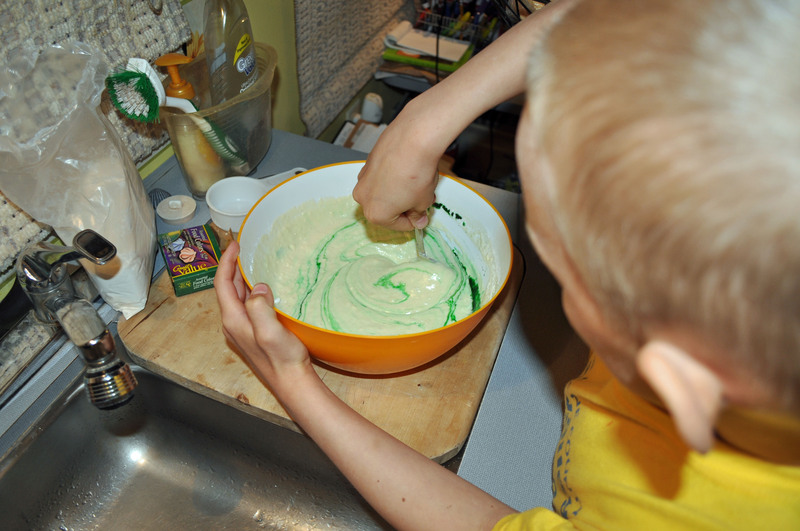 I’ll bet the kids loved the green pancakes, but wait…… no green eggs? What is Dr. Suess thinking now? We thought about green eggs, but figured we better save those for Dr. Seuss’s birthday on March 2. My maiden name is very Irish so I should have known better than to forget St. Patrick’s Day, but green pancakes made for a delicious feast!